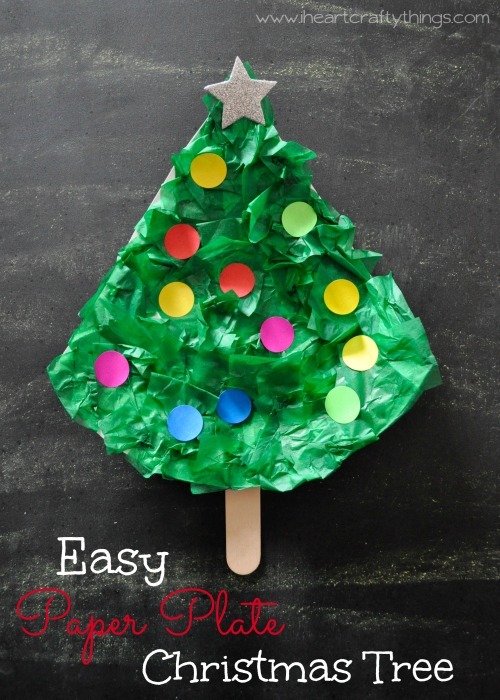 I love simple and easy crafts! 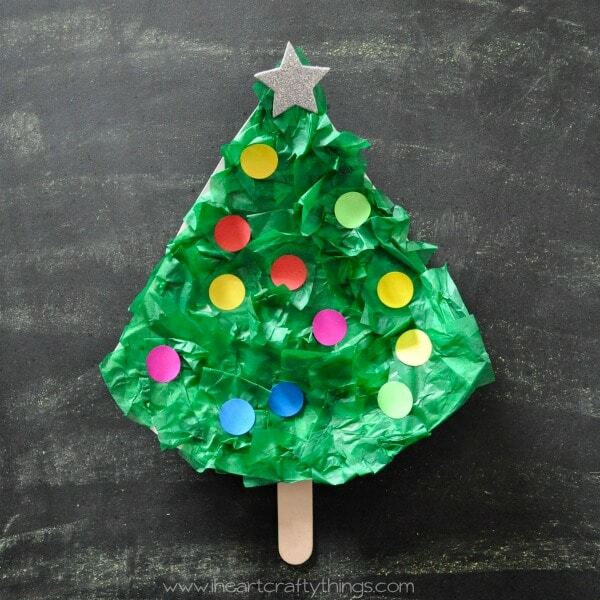 My preschooler asked to do a craft today and I pulled this together lickity-split for her and she loved it! 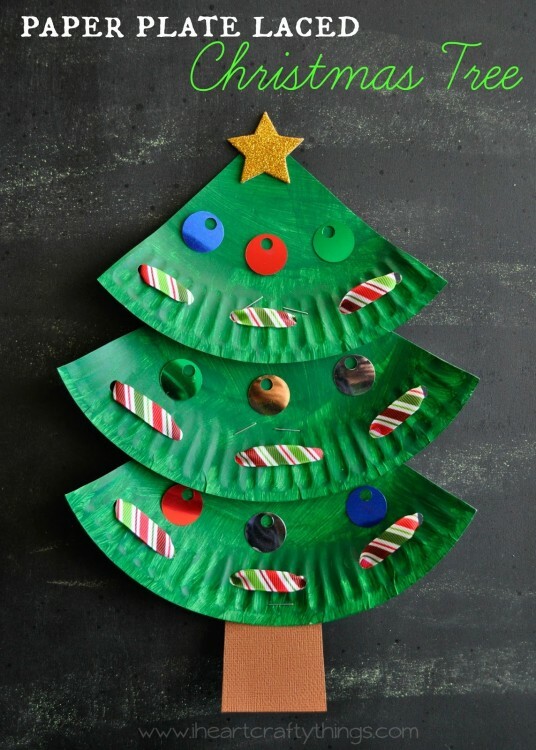 Dot stickers make this Paper Plate Christmas Tree so simple and extra fun for kids. What kid doesn’t love stickers, right?! 1. 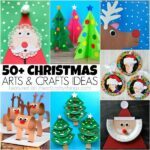 Start by cutting a triangle shape out of your paper plate. 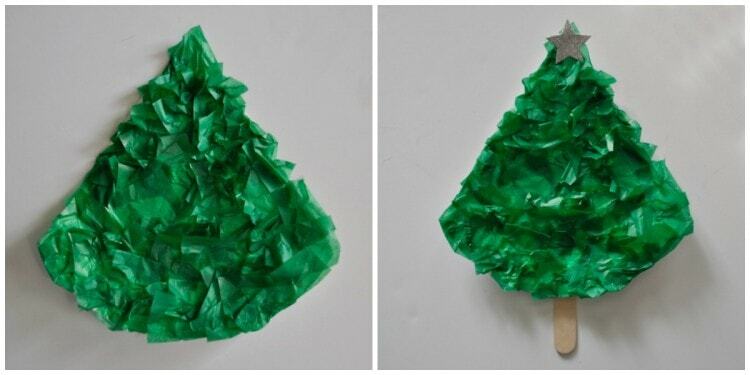 Cover it with streaks of school glue and add green tissue paper squares all over it, covering it completely. 2. 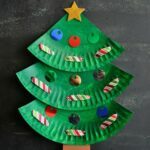 Glue a jumbo craft stick to the back of the paper plate as the trunk and add a glitter star foam sticker to the top of the tree. 3. 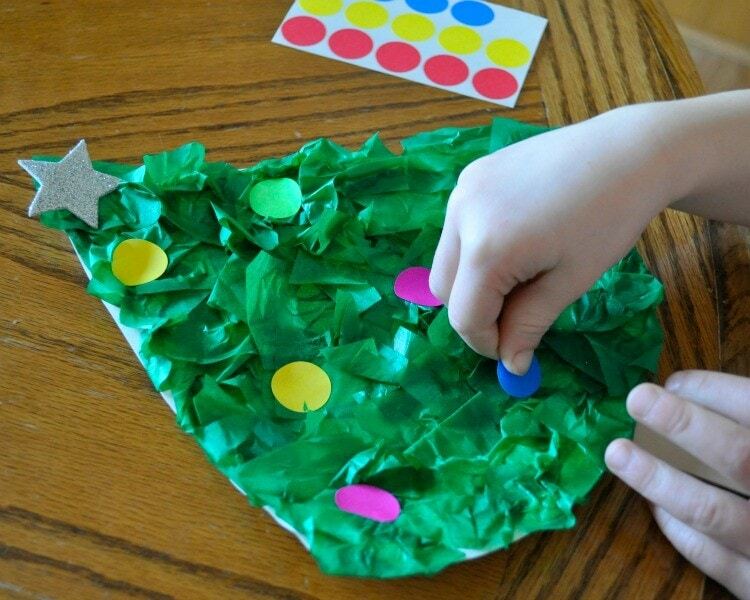 Finish your tree by adding colorful dot stickers all over it. Easy Peasy Lemon Squeezy right? 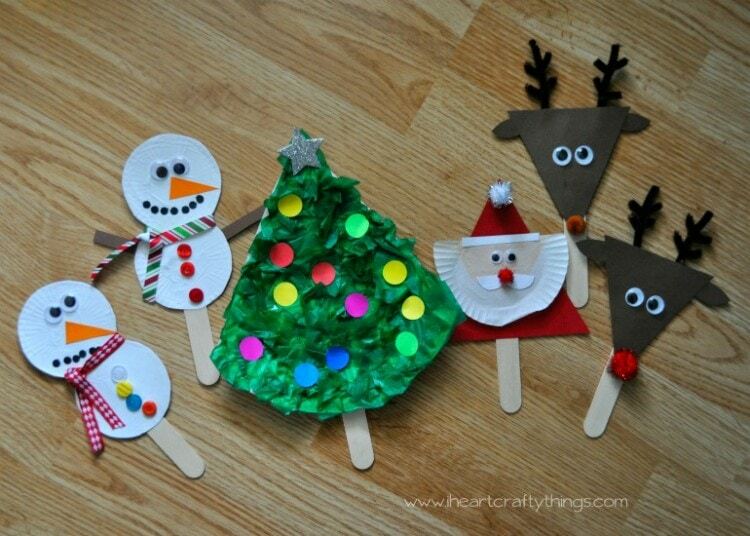 Since we added the jumbo craft stick as the trunk my daughter has been using her tree with all of her stick puppets we’ve made this last week. 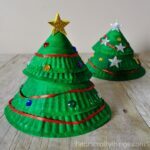 Super cute trees and simple for kids of all ages to enjoy making, love it Rachel! I just bought more paper plates in assorted sizes!